Another day, another carcass to the dogs. back with the scrape of your chair? Listen—the birds are settling in the trees. For the first time, The Red Room Company and Musica Viva came together to create music and poetry. Explore the project, its genesis and progress by clicking on all our magic boxes above. The project idea was simple - an emerging Australian composer, a leading solo instrumentalist and three renowned poets at different stages of their careers - would come together and create something, anything; words, music, sounds, pictures and the result would create a series of commissioned poems and six minutes of original music. Writing, composing and rehearsing are by their nature quite solitary activities and we wanted to explore how the outcome might differ if the approach was a more collaborative one. The first step was a workshop hosted by Johanna Featherstone at which the collaborators met, performed, wrote and got to know one another a little. Then they dispersed to their various parts of the globe but kept in touch via mail, email and occasional conversations. Poets Luka Lesson, Jessica L. Wilkinson and Margaret West, worked with composer Melody Eötvös, and percussionist Claire Edwardes, in a series of experimental workshops aimed at producing a suite of works blending poetry and chamber music. All the artists were hand-picked to bring a range of qualities to the project. The poets represent a range of styles, practices, backgrounds and career experience, with experience in cross-form collaboration, and experimentation with other media. On the music side, both Melody and Claire bring a wealth of experience and talent, as well as a openness of approach and willingness to collaborate. 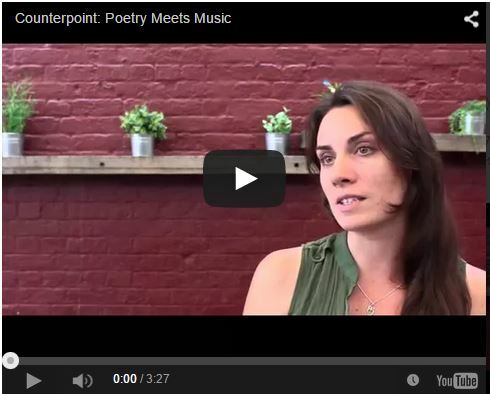 Explore the Counterpoint poetry booklet here. This project was run with the support of The Australia Council's Interconnections Program.